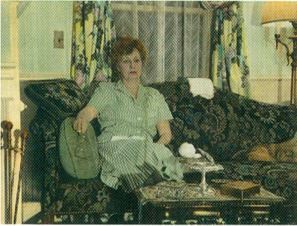 The Porches – Camp for Boys or Home for a German Spy? Ever wonder what it must have like back in the 1940’s to attend a summer camp? Funny enough, not too different from today… boys from the city would come out via the train (not car) to stay at the camp for one to three months to learn fishing, swimming, boating, etc. Parents, then as now, were concerned about the food, the safety, and what their boys would be doing day in and day out. The Porches was not cheap – nearly $6,000 (in 2014 dollars) to send your boy away for three months. 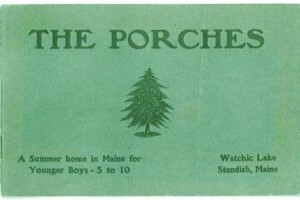 The owners of the Porches (the Rundletts) put together a brochure to advertise the Porches to the parents of prospective campers… take a look at the Porches brochure ca 1940 and see how in many ways things have not changed. There is another side of the Porches (more recently known as the Little Gatsby House). It is believed that the Countess Vera da Gama of Spain (pictured right) and her son lived in the house during World War Two. The son, rumor has it, acted as a German spy t racking ship movements in Portland harbor and sent reports back to Germany via a shortwave radio in the attic (the wiring is still there). The Countess divorced her husband Count Vasco da Gama in the fall summer of 1943. Read more about the Countess and her son, the alleged spy.